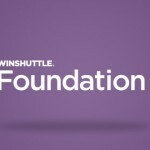 The next Winshuttle Foundation v11.1 capability I’d like to discuss is our dashboards. We have received many requests from customers over the years to provide dashboard capability, and we’re excited to announce we heard the message loud and clear and are taking action! We’ll be offering a series of out-of-the-box dashboards across our User Governance, Transaction Execution, and Forms and workflow spaces. We want to help you leverage the BI tools you have to extend dashboard and reporting capabilities, but we’d like to clarify we’re not a BI vendor. To that end, we don’t favor any BI tool, but we will provide support on the data side for all. 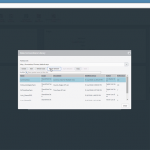 In Foundation v11.1 you will see a number of dashboard reports that can be used to help manage licenses, review transaction activity and system performance, and empower data team managers to improve your allocate resources and meet the demands of business users. We are interested in other reports and capabilities that our customers need and will continue to collect feedback on what should be included in the next set of out-of-the-box reports in Foundation. 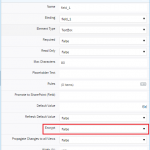 Stay tuned for the next blog in this series focusing on Foundation v11.1 UI improvements.